The K40 Whisperer software is a great little piece of software developed by scorchworks. 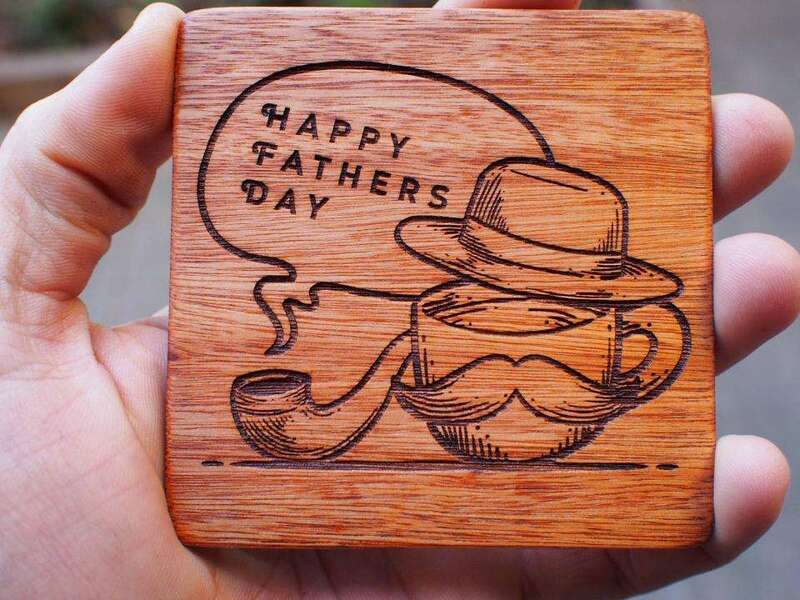 It’s a lightweight K40 Laser Cutter software which simplifies creating amazing engravings. 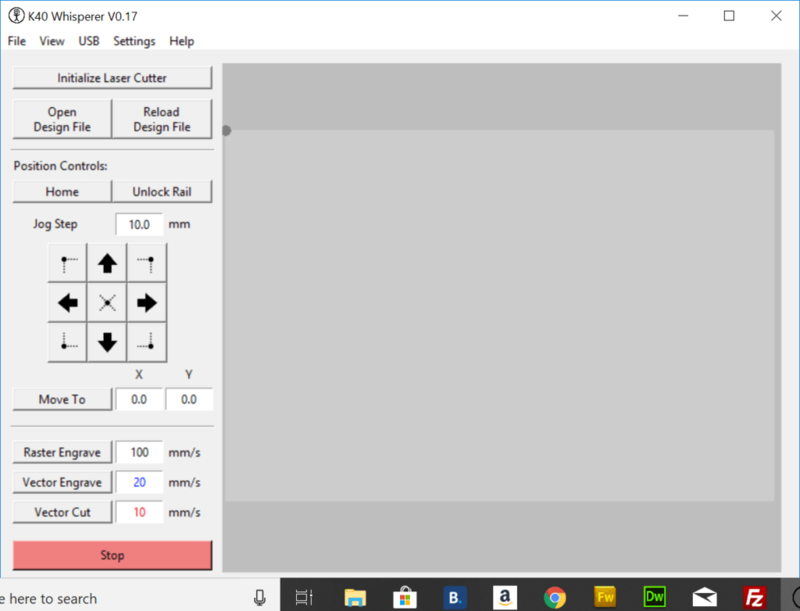 I have written a quick introduction into the k40 Whisperer software and the main functions that exist within the interface. 1. Download K40 Whisperer software here and extract to a known location on your computer. 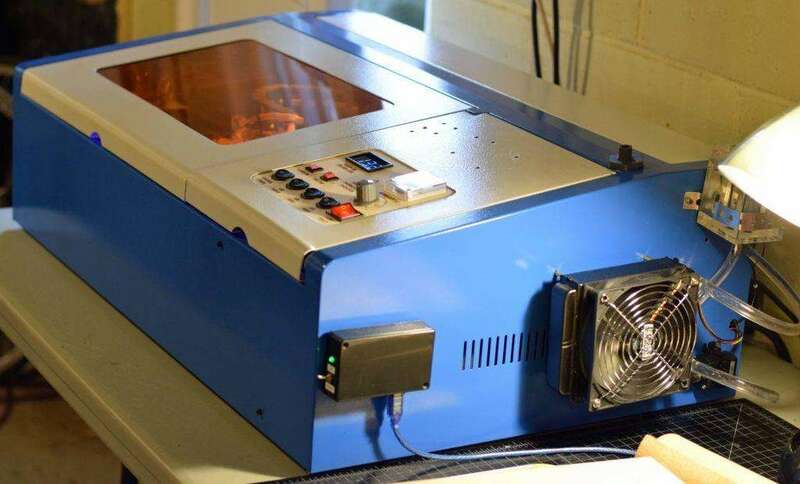 Initializes the Laser Cutter which sets the laser into a “Live” mode. The laser will become active and engraving can commence. If the Laser if not initiated, then the laser will not be able to fire, or be moved on its axis. K40 Whisperer supports a range of vector and G-Code Files. 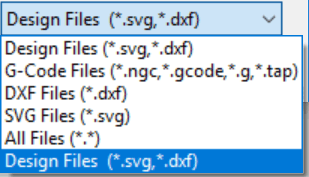 Although SVG typically contains vector data, the software recognizes bitmap data and will import that along with any vector data within the file. 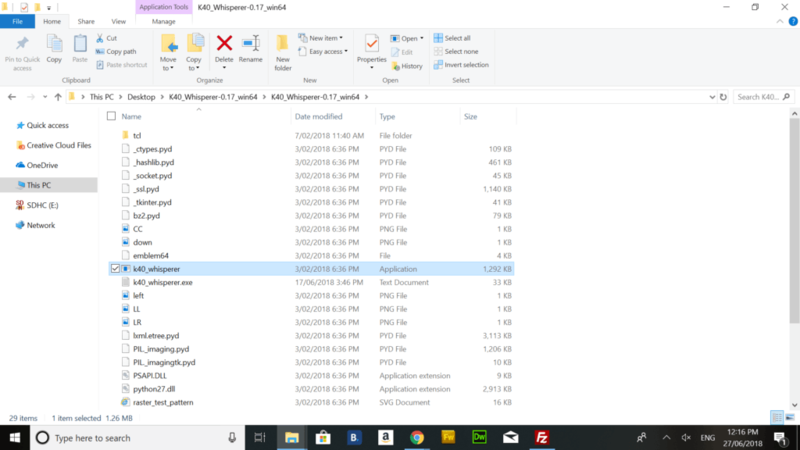 Reloads the current working file that is open in Whisperer. This is handy if you are playing around with settings and editing the file on a frequent basis. The jog step is the distance the laser will travel (in mm) when one of the jog control buttons have been pressed. The jog control buttons move the laser in the corresponding direction. If the right button is pushed, the laser will move positive on the x-axis and 0 on the y-axis. If the down arrow is pushed, the laser will move positive on the y-axis and 0 on the x-axis. 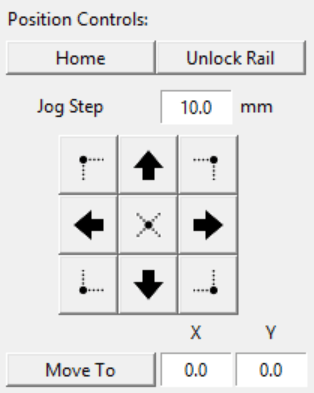 Each step will move in increments of the value that of the jog step text box. With this example, the k40 Whisperer software will move the laser in 10mm increments, as display on the jog increment text box. The outer corner buttons move the laser to the furthest positions of the allowed cutting space. 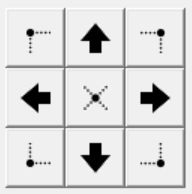 The x button in the center moves the laser to the exact center of the cutting space. Why would you need to move the x and y-axis? This will align the logo directly in the center of your work. Raster Engrave: The Raster Engrave function only receives raster data, so this will only control the speed of the x-axis. Vector Engrave : Vector engrave moves the x and y-axis simultaneously, this is the combined speed number for both x and y-axis. Vector Cut: Vector Cut moves the x and y-axis simultaneously – this is the combined speed number for both x and y-axis. The Raster Engrave button will engrave all the content or image space that contains the color black (#000000 Hexadecimal for black). The Raster Engrave function receives image data using either bitmaps or vector data. 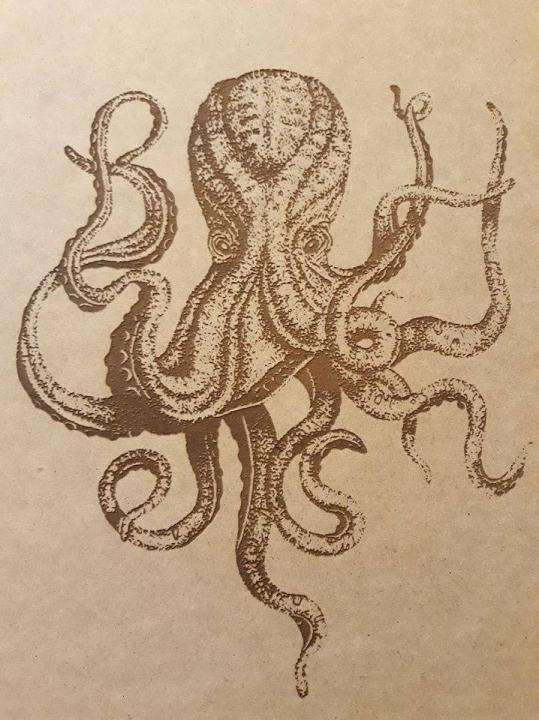 Unlike Vector Engrave or Vector Cut, the Raster Engrave functions more like a printer, moving back and forward over the x-axis, only firing the laser when it is required. This process is much slower than Vector engrave and Vector Cut, as there could be a substantial time in between laser fires if the image has a lot of whitespace. Raster Engrave cuts are recommended for most applications. Enables the vector engrave function. 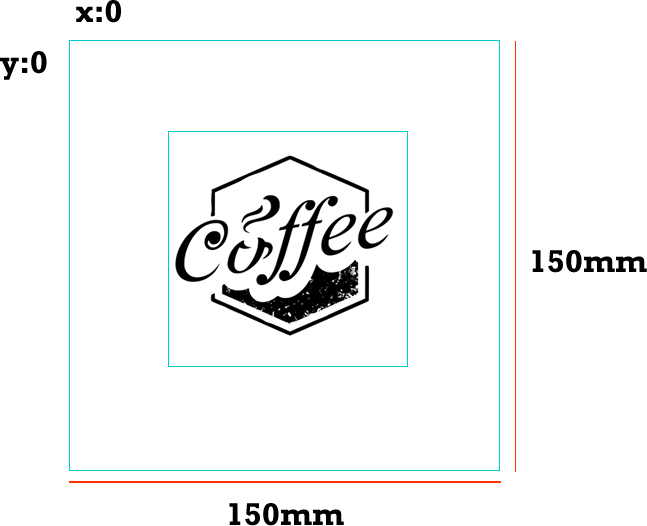 All vector items within your .SVG file that are exactly blue (#0000ff Hexadecimal for blue), will be engraved at the current setting on the laser your laser engraver. Enables the Vector Cut function. 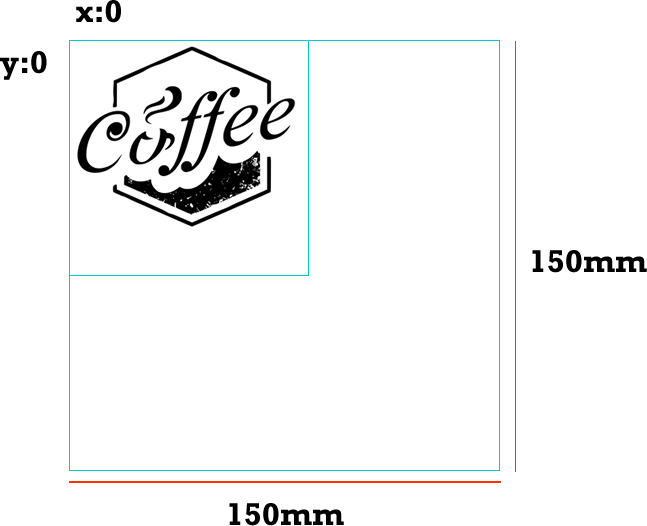 All vector item within your .SVG file that are exactly red (#ff0000 Hexadecimal for red), will be cut at a constant power of 16% at 8mm/s throughout the laser cut. This function should be generally used to cut through your material after the raster and vector cuts have completed. If a vector cut is done before the Vector Engrave and Raster engrave function, the item you are engraving will either fall down into the waste area or become dislodged and a subsequent raster or vector engrave won’t be able to be completed. I have been using the K40 Whisperer since I purchased the K40 over a year ago and it has served me well without any issues.